Whenever I bought a new lens, I always added a UV filter to it. It was obvious to do so, and I never gave it any thought. But there was a moment that I stopped adding that sort of filter and I never looked back since. Does a UV filter still have any benefit, or is it a waste of money? Let’s find out. You probably have heard about UV filters, also called Skylight filters (I never understood the exact difference between the two). These pieces of glass, screwed in front of a lens, reduced the amount of ultraviolet light which often resulted in better colors. This was many years ago before front lens elements became coated with all sorts of layers, thus rendering the UV filters useless. A couple of modern UV filters, specially made for autofocus lenses. Do these filters have any use, or are they relics from the beginning of photography? These UV filters had a second task. It would protect the front lens element, preventing scratches or bursts in the precious glass. It was easier to replace a broken UV filter than a broken front lens element. Not to mention the costs involved. And it still counts, perhaps even more because lenses are almost 10 times more expensive than 20 or 30 years ago. Another benefit was protection against rain, dust, and sand. Just remove the filter and rinse it. You wouldn't want to do that with your expensive lens. Today there is no need for filtering ultraviolet light with a UV filter anymore since the lenses have much better coatings. These coatings not only increase performance, it makes the glass very hard and resistant to scratches — up to a certain point of course. The new nano-coated lenses even have water resistance, as if drops don’t like to touch the surface anymore. It is possible to add water-resistant coatings on front lens elements, like this Laowa 12mm zero-D lens. 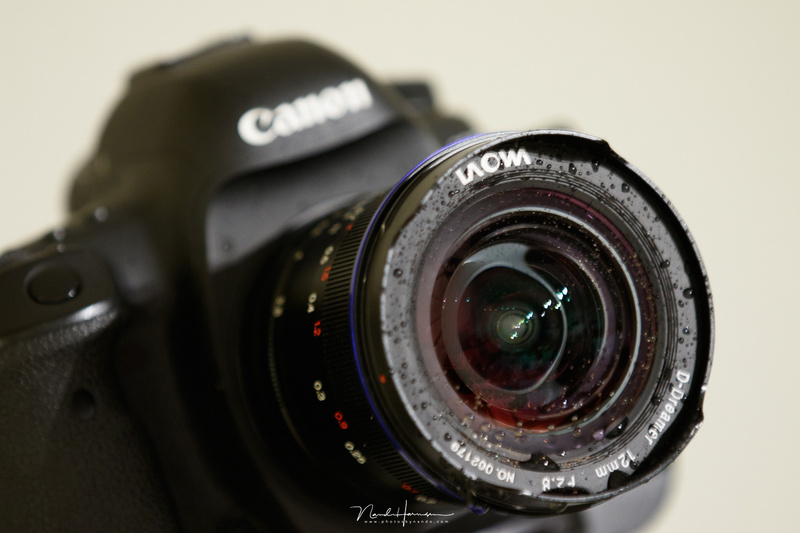 Water does not stick onto the lens and if it does, you can blow it of without leaving a trace. It is really amazing. There are also a lot of lenses that won’t accept any filter. The rounded glass of an ultra-wide angle lens prevent any standard filter and rely on the hardened glass to give the protection it needs. As long as you don’t drop your lens, and use a proper lens hood if available, special protection filters are not really needed anymore. 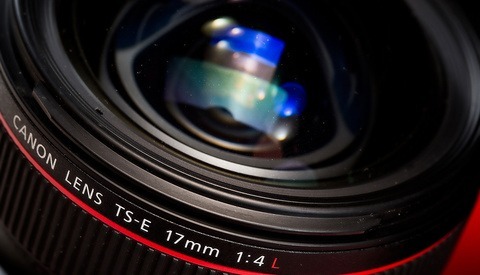 Some lenses do not accept any filter, like this huge Canon EF 11-24mm I reviewed a few years ago. But I can image you would feel better with a filter installed if possible. It still is an extra protective barrier. That is the only remaining reason for such a filter and that is why many filters are now called protection filters. But this extra glass can turn against you, so be aware. For example, I once jumped over a ditch and fell. My Canon EF 24-70mm f/2.8L lens hit a stone and I ended up with a dent in the filter threat. This small accident made it impossible to place a filter or filter holder. Imagine what could have happened if I had a UV filter or protection filter installed. In that case the filter itself would have taken the hit, and I am sure it would have bended, just like the filter threat did in my case. Perhaps it would have become impossible to loosen the filter ring due to the damaged filter threat, and I am convinced the filter would have been shattered, with the risk of scratches on the front glass element by sharp broken glass pieces. When using system filters it is advisable to remove a UV filter. Especially on wide-angle lenses, that extra filter between lens and filter holder can result in a vignette. From this unfortunately incident I learned that a filter won’t always give the protection you would like to have. And in my case I believe there would have been even more damage when a filter was installed, rendering the lens useless. There are more situations where I find a filter unwanted. Most of the times a protective filter is significantly less in quality than your expensive lens with its high-quality coatings. Often that small piece of glass increases the risk of flares. 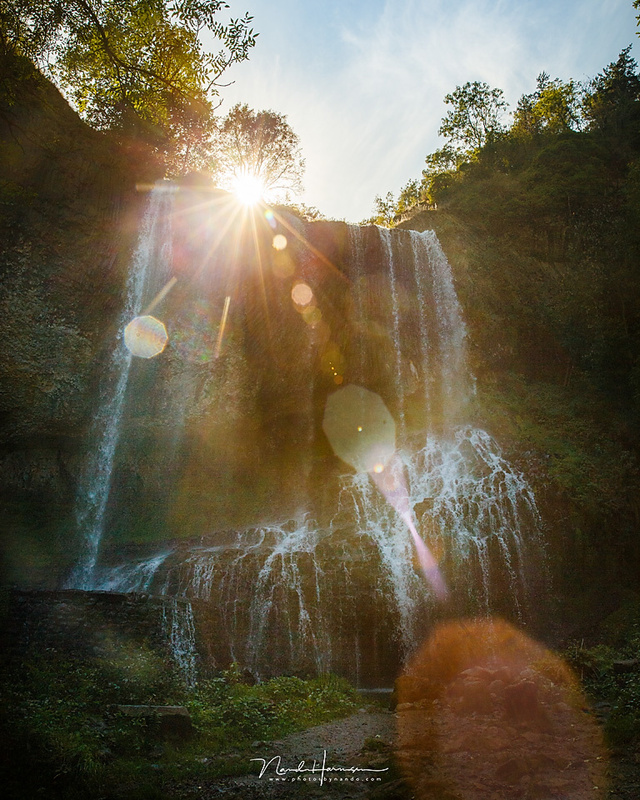 Especially when shooting sunrises or sunsets, flare can arise more easily with a filter. But also street lights at night can increase the amount of flaring when a filter is placed. In the worst-case scenario it even can counteract for all the anti-flare coatings of an expensive lens. Think of it this way: why would you put a $30 filter in front of a $2,000 lens? It is like the weakest link in a chain. Flaring occurs in certain situations. The amount of flare depends on the quality of the lens. No matter how flare resistant a lens is, a simple UV filter can counteract it completely. There is another drawback to filters. When you like photographing for an extended amount of time at night, like star trails, condensation can occur much sooner with a filter in front of the lens. Condensation originates when the temperature of your lens drops below the dew point. Since a lens has a lot of mass, it takes a while before it is cooled down. But a small filter will cool down a lot quicker. I have seen condensation occur on a lens with a filter within five minutes, while the lens of another camera next to it could continue to shoot without filter for three quarters of an hour before it was cold enough for condense to form. I made the time-lapse below to show how condensation can form while shooting images for a star trail. Should you completely avoid using protective filters or UV filters? Perhaps not. 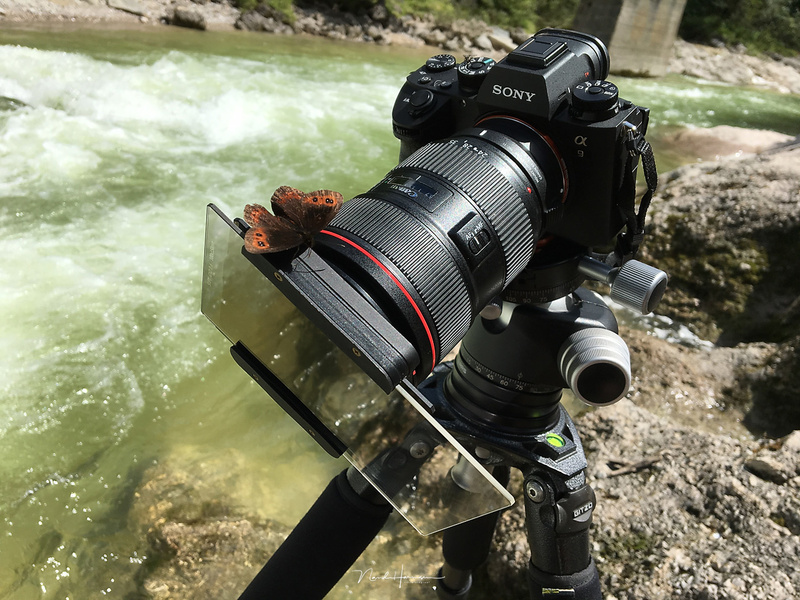 Some lenses are only water resistant when a filter is placed. 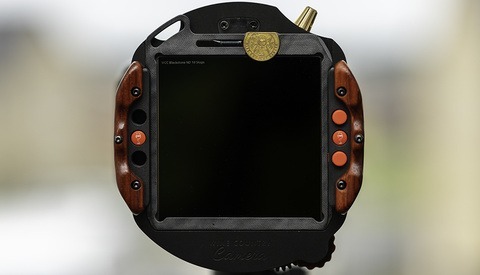 Especially those lenses that move inside the barrel when focusing require a filter to protect it from water. But it can also protect your precious lens when photographing on the beach with strong wind. 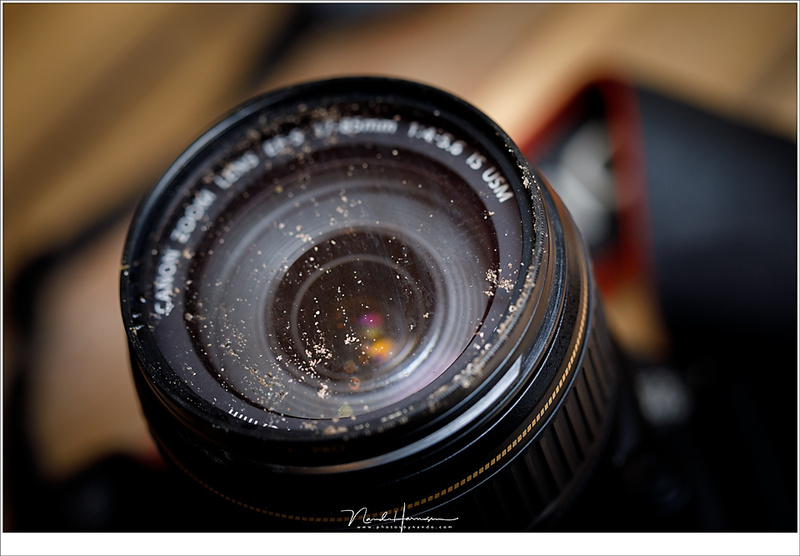 The grains of sand have the tendency to sand blast the front glass element, making a matte glass out of it, rendering the lens completely useless. And of course it is much easier to clean when it gets dirty, just by removing the filter. A lot of modern lenses have weather sealing. But some lenses require a filter of some sort to protect the lens barrel against water. 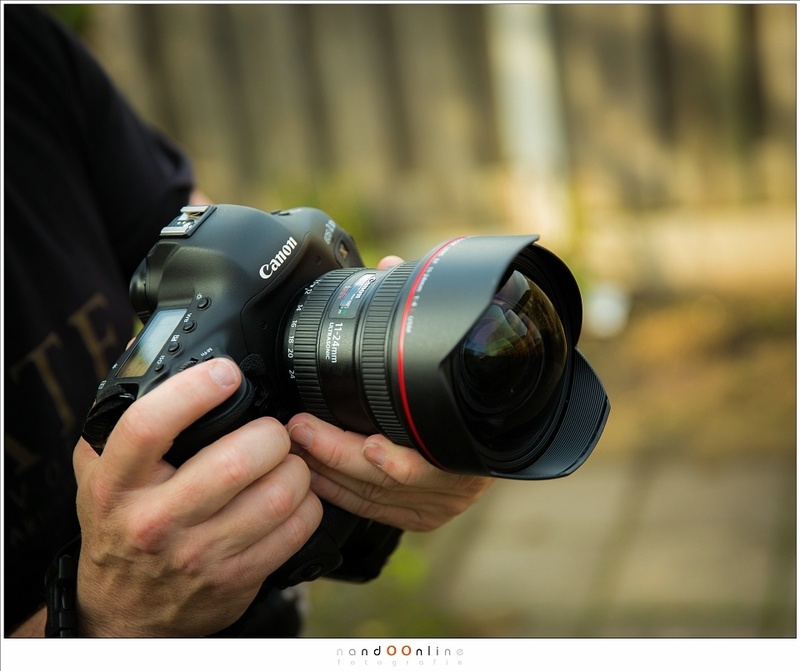 This also applies for this Canon EF 16-35mm f/2,8L III lens. If you end up with such a dirty filter, just remove it and rinse it. You wouldn't want to do that with the lens itself. For these situations a UV filter has its benefit. There is another good use for a UV filter. You can use it for making a DIY soft focus filter. Put a bit of wax, gel, or Vaseline on it and you’re done. Just try it out. Being creative, making a soft focus lens by applying some Vaseline to the filter. So don’t throw away your filter yet, but keep it at hand for occasions when you can have benefit from it. Just remove it when it is not necessary. 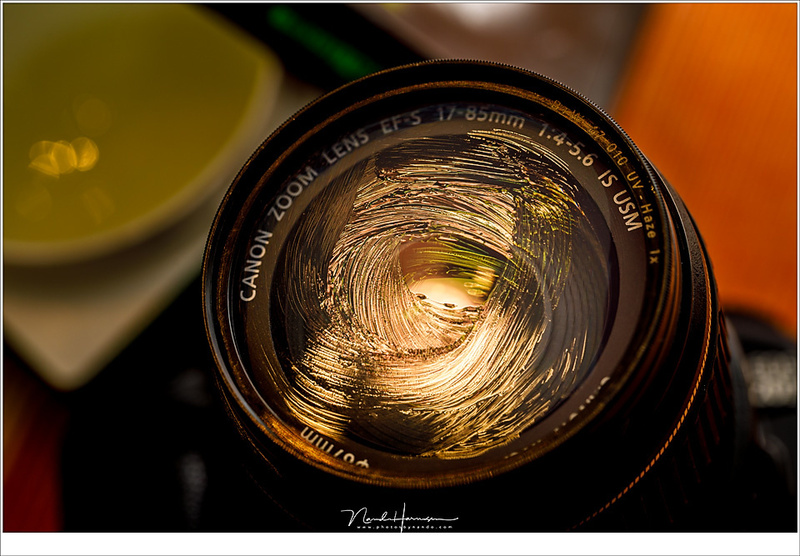 Do you have a filter on your lenses, and is there a special reason for it? Please let me know below in the comments. To UV Filter or Not to UV Filter? 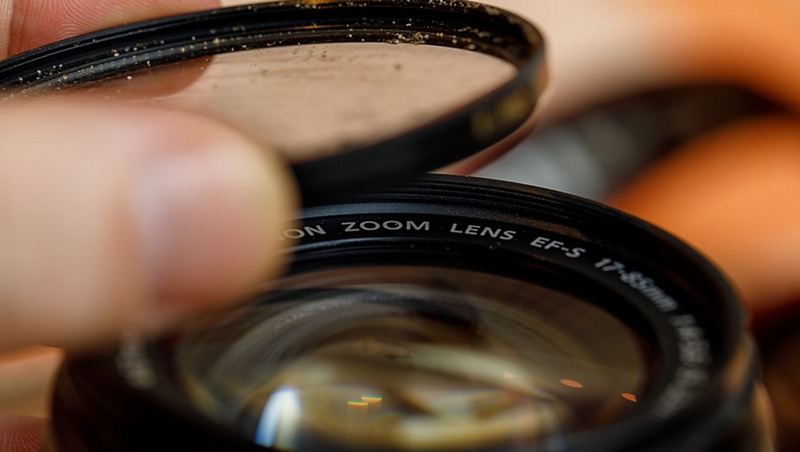 Do Filters on Your Lenses Hurt Your Photos? I keep a filter (either a B+W Clear or Breakthrough Photography UV) and lens hood on at all times for all of my lenses that can take a filter. I haven't noticed any degradation in IQ from using them and I figure that they're a bit of extra protection for my lenses. Sure, you can have a freak accident where the filter shatters and scratches the front element, but I figure that most drops that would shatter the filter even with my lens hood on would probably also damage an unprotected front element anyway so it's the same result either way. I might take it off if I'm going into a shooting situation where I know that flare is very likely to be an issue, but that's about the only time a filter is off the lens. I too have filters on all my expensive glass, but only good and expensive ones... As you wrote, a 30$ one is likely going to hurt your image quality. But a good B+W filter for 77mm threads costs more than double that, maintains IQ and protected my lens more than once. I take them off only to put a polarizer or ND (or cleaning of course). 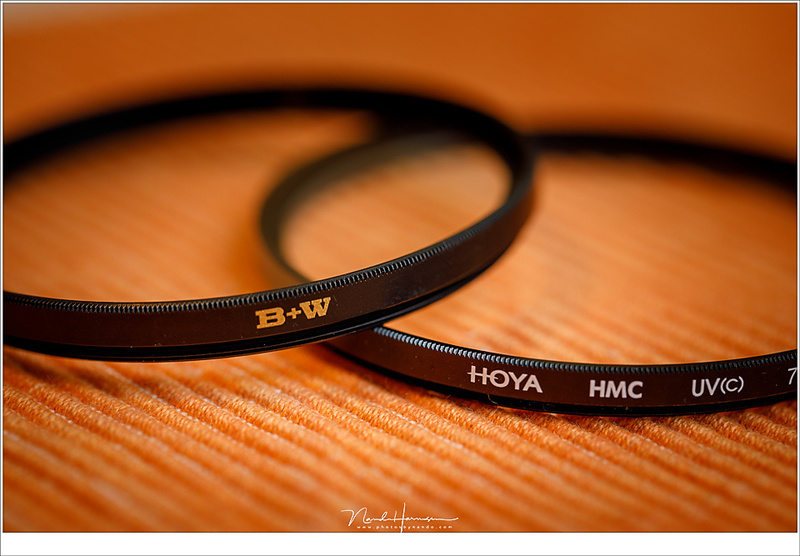 I buy B+W for my circular polarizers as I always use them for my main subject (cars). Even beyond image quality, cheap CPLs usual rattle and don't spin particularly smoothly. I do buy cheap UV filters for expensive glass to use as protection while I'm just playing around and shooting photos I frankly don't care much about. But I don't mess with cheap CPLs. I use a filter system, so just one polarizer for all lenses.. I don't understand why you shoot through cheap UV filters. If you don't care for those photos, why shooting them in the first place? Practicing genres or types of photography I'm not familiar with. Snapshots for posterity's sake. Low light handheld shooting where filter quality is the least of my IQ concerns. If I think there's a chance at making an image good enough that a filter will be the limiting factor I'm happy to take it off but IMO the differences in image quality are pretty subtle and essentially negligible after color grading and being viewed on a small screen. Dont use filters, dont use lens caps, they go face down straight into Pelican foam/TrekPak. Have on occasion cleaned with shirt when I've had to (Try to avoid it). Have yet to scratch a lens, the front elements are resilient as all get out. That being said I have 24-70 with 3-4 scratches (bought that way), no impact to image. Could careless, if it works it works. When photographing a wedding I also loose my caps. Never had any problem whatsoever. Still, when storing lenses I do want a lens cap on it. I'm always searching pockets on my jackets for lens caps. Keeping a lens cap on is just an old habit. I totally disagree. It is to the point wherein I will not buy a lens unless it has a metal filter thread on the front. I live in the American West at high altitude and I have not seen one digital camera that did not benefit from using an aggressive UV filter, such at a 415. Further, all you have to do is see the windshield of my jeep to see how much misery is flying around in the wind that will pit your beautiful lens to tears. The sad truth is that people often buy cheap filters for expensive optics, when just the opposite should be the case. 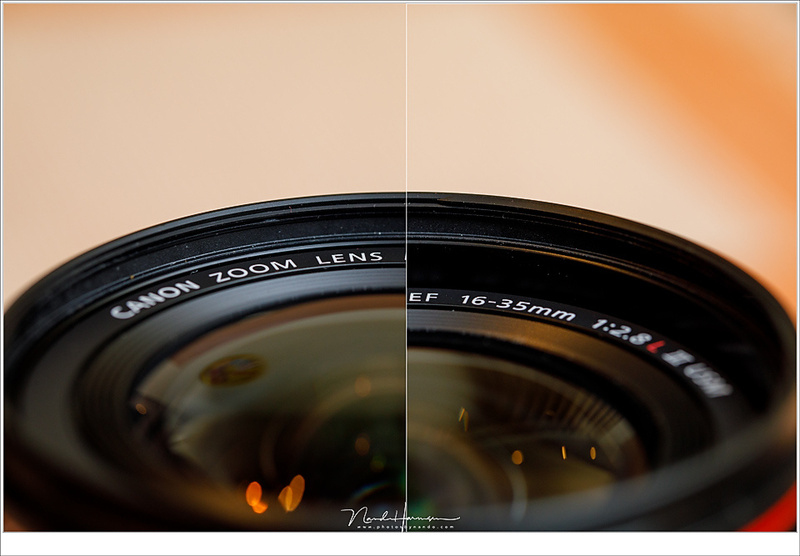 There are huge quality differences in lens filters in both the mechanics of the filter and its optical properties. For the most part, price certainly is an indication of performance. And shall I mention monochrome photography---either digital or with film? Both require contrast filters. Again, a good reason to make sure to buy lenses that have metal filter threads and forget the rest. "And shall I mention monochrome photography---either digital or with film? Both require contrast filters." Not really... You only need them if you want to get certain effects from your photos and even then, it's much more important for film than it is for digital, where you can dial in the B&W conversion in post. That having been said, plenty of people push rolls of black and white film through their camera without any contrast filters just fine. At what altitudes are you referring to? It is not a digital camera but lenses/glass that can filter the light. Modern lenses have amazing coatings, but I can imagine a cheap lens can have a less effective coating for UV. About b&w photography. What you are referring to are color filters and that are effect filters rather than UV or protective filters. I use them instead of lens caps, which I always lose. I then clean them with my shirt, because I also always seem to lose lens cloths, too. But that's just me. I use a tie often at wedding. The lining is lint free. 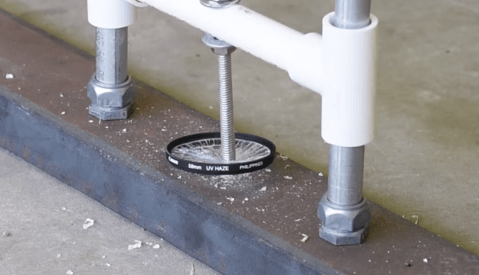 Filters provide excellent protection against the cumulative effects of wiping/cleaning that could otherwise remove the coating on the front element. By the time the wiping and cleaning will remove any coating, your lens will be old and vintage. Only when using aggressive cleaning agents you will remove coating. Depends on the lens and coating. But who wants a lens that looses its coating after a cleaning or a good wipe? A good number of my lenses are vintage lenses that i adapt. Pretty danged definitive, indeed. I'll only bother with filters when I need the particular effect or when I'm going into an area where gradu is being thrown around, like ringside at a rodeo. I'd sooner put scotch tape over my lens than use a uv filter. I would only do it for weather sealing. Other times it is off the lens. I've only scratched the UV coating on my 85mm 1.2. Thats out of the dozen lenses I use semi regularly. Not a big deal. You might as well worry about the dust underneath the glass which you cant do anything about.